Successfully Added Zhiyun Tech Smooth 3 Smartphone Gimbal - For 6-Inch Phone, Supports GoPro Hero Cameras, 26650mAh, App Support, Charging Mode to your Shopping Cart. 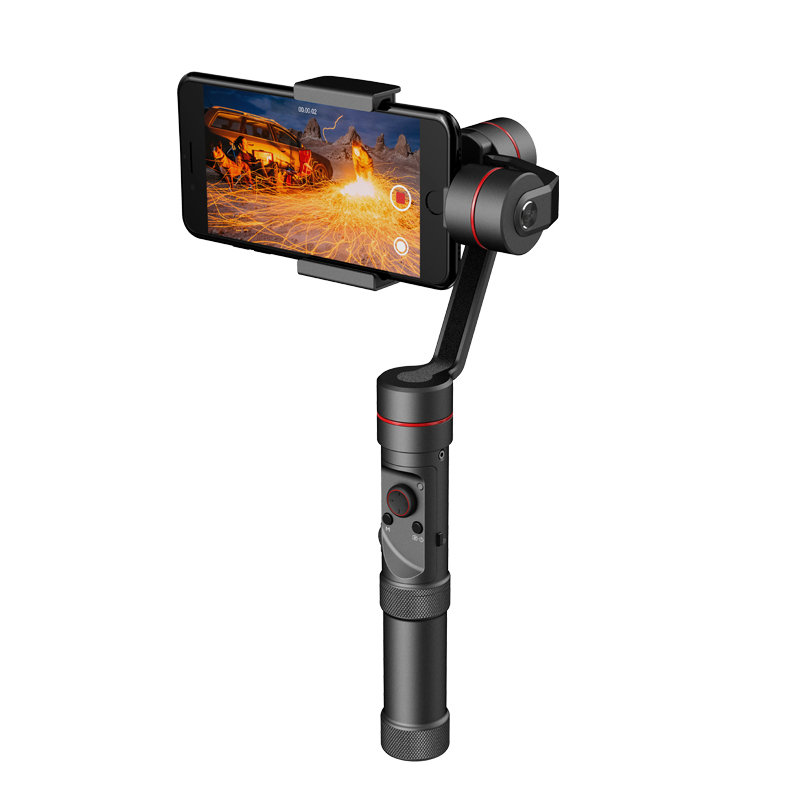 The Zhiyun Tech Smooth 3 is a high-end 3-axis handheld camera gimbal that works with 6-Inch smartphones and GoPro Hero 3/4/5 sports action cameras. This cool gizmo allows you to shoot stunningly smooth and stabilized footage in any environment. Whether you’re in the back of a car, riding a bike, or taking a hike – with this camera gimbal you’ll always be treated to professional-grade footage. Your gizmo supports devices with a weight ranging between 75 to 260 grams, meaning it can be used with virtually any action camera and 6-Inch smartphone out there. Simply attach it to your gimbal, and you’re ready to go. With a whopping 26650mAh battery, this handheld camera gimbal delivers up to 14 hours of usage time. What sets this gizmo apart from others is the fact that it can charge your phone or camera while in use. Therefore, you’ll never again have to worry about running out of juice while shooting some footage outside. With its innovative hand wheel, it lets you easily control your smartphone’s settings. The gimbal supports 320-degree tilt, 320-degree roll, and unlimited 360-degree pan. Thanks to this, you’ll truly be able to capture upcoming events from any imaginable angle. Your gimbal can be easily controlled by hand and additionally features App support to automatically save all recordings onto your smartphone. The Zhiyun Tech Smooth 3 Smartphone Gimbal comes with a 12 months warranty, brought to you by the leader in electronic devices as well as wholesale electronic gadgets..